WASHINGTON — A federal judge appointed to the bench by then-President George W. Bush has ruled that Congress may reject an atheist’s request to present an opening invocation and that officials did not discriminate against him in requiring that those who present prayers be actual faith leaders. “This court concludes that the refusal of the House chaplain to invite an avowed atheist to deliver the morning ‘prayer,’ in the guise of a non-religious public exhortation as a ‘guest chaplain,’ did not violate the Establishment Clause,” wrote U.S. District Judge Rosemary Collyer on Wednesday. “For the same reasons that legislative prayer has been found consistent with the Establishment Clause, so is it consistent with the Equal Protection Clause,” she said. As previously reported, Dan Barker, the co-president of the Wisconsin-based Freedom From Religion Foundation (FFRF), filed suit against House Chaplain Patrick Conroy and Speaker Paul Ryan in May—on the National Day of Prayer—after he was prevented from delivering an atheist invocation before Congress. Barker had formerly served as a minister in California, being ordained in 1975, but proclaimed his atheism in 1984 and no longer is affiliated with any Christian denomination. He still uses his ordination, however, as a means to officiate weddings. “Daniel Barker was ordained in a denomination in which he no longer practices,” an email from Conroy’s office outlined. Barker later filed suit, alleging that Conroy had violated his rights by prohibiting him from delivering an invocation. He specifically contended that the rejection was a violation of the federal Religious Freedom Restoration Act (RFRA), which states that the government must not “substantially burden a person’s exercise of religion” unless there is a “compelling government interest” in doing so. However, on Wednesday, Judge Collyer rejected Barker’s arguments, stating that the RFRA does not apply to the situation as it only pertains to religious entities being forced by the government to act contrary to the tenets of their faith. “Mr. Barker alleges that he was prevented from serving as a guest chaplain, but fails to allege that serving as a guest chaplain was required by his religion or that Conroy or any other individual at the House forced him to engage in any conduct contrary to his religion,” Collyer said. She also rejected Barker’s argument that the U.S. Supreme Court ruling of Greece v. Galloway is applicable to his legal challenge, explaining that the matter pertained to various religious leaders presenting a prayer to God—and atheists are not seeking to do so. “[C]ontrary to Mr. Barker’s hopeful interpretation, Town of Greece did not reference atheists—who are, by definition, nontheists who do not believe in God or gods—but ‘any minister or layman who wished to give [a prayer],'” Collyer wrote. “Despite Mr. Barker’s repeated attempts to characterize his claims as not challenging the constitutionality of legislative prayer, the reality is that his request to open the House with a secular invocation, which resulted in the denial of his request to serve as a guest chaplain, was a challenge to the ability of Congress to open with a prayer,” she outlined. However, Speaker Ryan applauded the decision, noting that from the nation’s founding, Congress has always sought to acknowledge the Almighty. 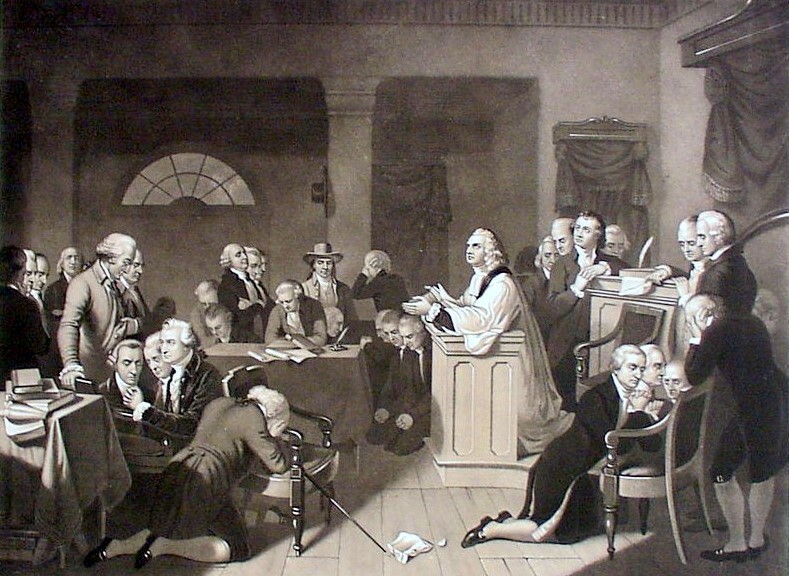 “Since the first session of the Continental Congress, our nation’s legislature has opened with a prayer to God. Today, that tradition was upheld and the freedom to exercise religion was vindicated. The court rightfully dismissed the claims of an atheist that he had the right to deliver a secular invocation in place of the opening prayer,” he said. “I commend the district court for its decision, and I am grateful that the People’s House can continue to begin its work each day as we have for centuries: taking a moment to pray to God,” Ryan stated. “O Lord our Heavenly Father, high and mighty King of kings, and Lord of lords, who dost from thy throne behold all the dwellers on earth and reignest with power supreme and uncontrolled over all the kingdoms, empires and governments: Look down in mercy, we beseech Thee, on these our American states, who have fled to Thee from the rod of the oppressor and thrown themselves on Thy gracious protection, desiring to be henceforth dependent only on Thee,” read the first prayer delivered before the Continental Congress on Sept. 7, 1774.